Are you looking to make a statement with your home? Slate roofing offers homeowners a number of different style and texture options. This unique roofing material not only offers eco-friendly benefits, but it’s also extremely durable and adds unmatched curb appeal to your property. If you’re looking to update or replace your roof, our team at Exterior Remodel and Design are here to help! Read on to learn more about slate roofing and if it would be a good option for your home or business. Does slate roofing require a lot of maintenance? Slate is notorious for its durability in all regions. This laminated rock is highly resistant to severe weather and fluctuating temperatures. Mold and fungus are also not typically an issue with slate roofing. Like all roofing materials, repairs will need to be made over time as the roof ages. The type of repair a slate roof would require is if a tile slips out of place, develops cracks or has become dislodged completely. Repairing slate tiles in a timely manner will avoid moisture from finding its way into your home and causing interior water damage. What is the lifespan of slate roofing? One of the most important things you can do to ensure that your new slate roof will last is to have it installed by a team that is familiar with the material and believes in using only the highest-quality of slate. Improper installation and low-quality slate will result in a roof that deteriorates faster than it ever should. Many buildings that feature slate rooftops have been known to last 150+ years. If you have decided to install slate roofing, our team at Exterior Remodel and Design will ensure that it’s installed properly so you can enjoy the design without issue. How does it compare to other roofing materials on the market? 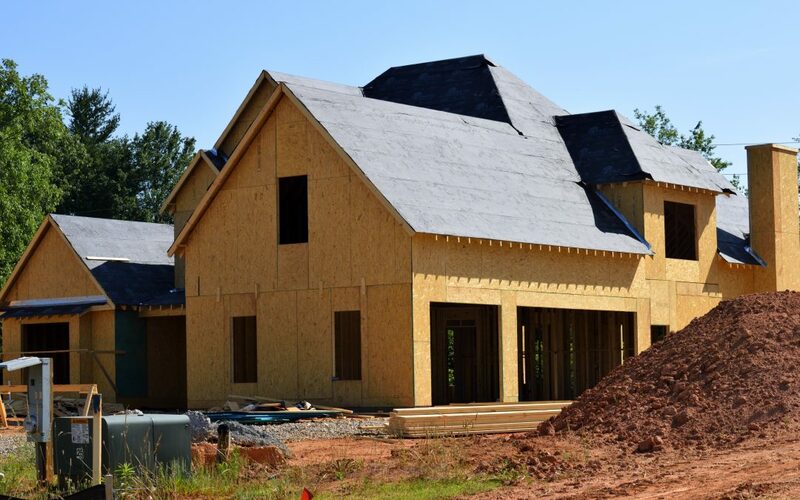 Besides the undeniable curb appeal this 100% natural material adds to your home or business, it’s the most leak and fireproof roofing material on the market to date while maintaining a one-of-a-kind appearance. Slate comes from the earth and requires no foreign materials such as plastic, fiberglass or asphalt to maintain its durability or aesthetic, so it’s an eco-friendly option for homeowners. Slate is referred to as the 100-year natural roof. One slate roof can potentially keep four or five worn out asphalt roofs out of local landfills. The natural colors of slate can vary from grays, greens, purples and even reds. Not one slate roof is the same, so you can be sure that your home will maintain a unique aesthetic. Is slate roofing expensive to install? When it comes to quoting an installation price, it will vary from house to house. Other than the size and pitch of your roof, the price will also depend on the overall thickness of the slate you are wanting to have installed. Slate roofing can vary between 1/4-inch to 5/16-inch in thickness. More expensive varieties can range between 3/8-inch to 1-inch or more. Slate roofing does carry a bigger price tag when compared to other conventional roofing materials. Even though this high-quality material can be expensive upfront to install, the overall benefits and long-term savings will be an investment in your home that you can enjoy for years. Our contractors at Exterior Remodel & Design are experienced in installing slate roofing and can help you with every last detail of the design. We can examine your home, write-up an estimate, and even walk you through the insurance process to help ensure that you get all of the repair and replacement costs covered. If you need new siding in Omaha or Lincoln, you can trust Exterior Remodel & Design for the highest quality installation or repair. Contact our team today!